BRUSSELS (AP) — A top Congo opposition figure who is barred from December’s presidential election is warning that “chaos” will follow if the vote is not transparent and fair. Former Congolese Vice President Jean-Pierre Bemba spoke to The Associated Press on Tuesday, days before his sentencing at the International Criminal Court after being convicted of interfering with witnesses. Congo’s electoral commission rejected him as a candidate in the Dec. 23 election, calling the witness interference synonymous with corruption. Congolese law prevents people convicted of corruption from running for the presidency. Bemba accused both the commission and the Constitutional Court, which last week upheld the commission’s decision, of being under “full control” of the government of President Joseph Kabila, who after two years of deadly unrest amid the long-delayed election has said he will step aside. “They just exclude me. They used the court to exclude me, they made a big confusion,” said Bemba, whose father was close to former longtime leader Mobutu Sese Seko and who finished second to Kabila in the 2006 election. Bemba also said he expects Congo’s opposition to rally behind a joint candidate to challenge Kabila’s preferred one but did not say who it should be: “I don’t know, frankly.” He has said it would have been him. Bemba did not directly answer the question of whether he is out of the race for good. Whoever wins the Dec. 23 vote takes over a vast country with trillions of dollars’ worth of mineral wealth but with dozens of armed groups battling for a part of it. 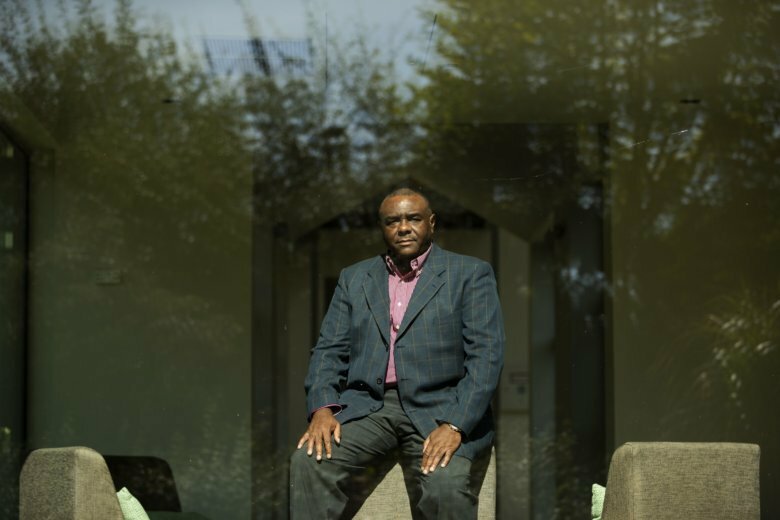 Bemba became a surprise presidential contender after ICC appeals judges in June acquitted him of war crimes committed by his Movement for the Liberation of Congo forces in neighboring Central African Republic in 2002 and 2003. He then returned to Congo, where he remains a senator, after more than a decade away. “Bitter, not at all,” he said of his decade away. “Of course the last 10 years was an opportunity to think about my country.” Congo’s situation is worse than when he left, he said. Opposition parties have accused Kabila’s government of blocking some top candidates from running for president. Congolese authorities blocked another top contender, Moise Katumbi, from entering the country to register as a candidate. Felix Tshisekedi, the candidate for the largest opposition party, remains eligible. Kabila, whose mandate ended in late 2016 and by law cannot run again, has chosen a candidate with a recently formed coalition, former interior minister Emmanuel Ramazani Shadary. The opposition worries Kabila will continue to assert his influence even as one of Africa’s most turbulent nations faces what could be its first peaceful, democratic transfer of power. The United States was among those praising Kabila for his decision to step aside but it warned that Congo’s electoral commission must “take all steps necessary” to guarantee a free and fair vote. Congo’s government has blamed the election delay on the difficulties of organizing a vote. The opposition and some in the international community, including the United States, are objecting to the planned use of electronic voting machines despite warnings from watchdog groups that transparency and credibility could suffer. Anna reported from Johannesburg. Associated Press writer Saleh Mwanamilongo in Kinshasa, Congo contributed.